MANILA, Philippines — It was a shaky first round for defending champions DLSU Lady Spikers this 81st UAAP women’s volleyball tournament. After three straight wins to start their title defense, DLSU suffered back-to-back losses — their first losing streak since Season 77. But the Lady Spikers weren't about to let the losses drag them down. Bouncing back in dominant fashion, the Lady Spikers recovered with two sweep victories to end the first round with a convincing 5-2 record. 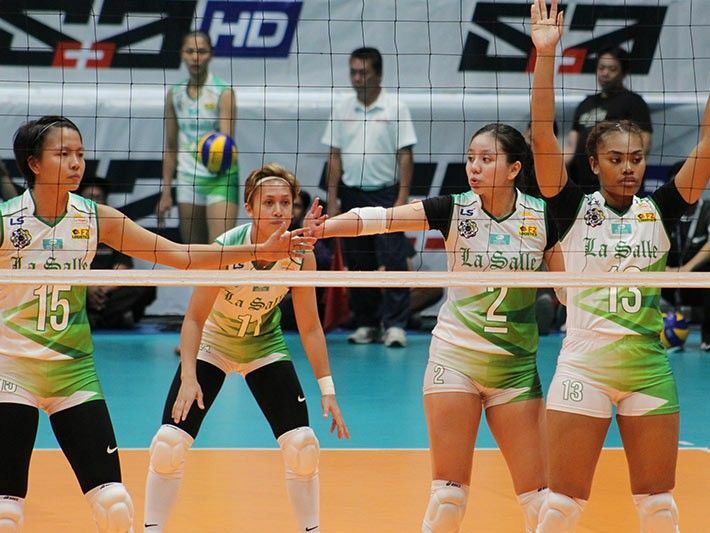 "’Di namin kinakalimutan yung sinasabi ni Coach na kung ano yung nakasulat sa jersey namin, ibig sabihin La Salle na hindi nagpapatalo at may pusong champion," Lady Spiker Lourdes Celemente said. Despite key players graduating from the DLSU last year, the Lady Spikers remained resilient with veteran and young players alike stepping up their game. "Palagi namin dapat naalala na lahat kami we have the blood of a champion," veteran Tine Tiamzon said.